If you are sick, the temptation is to think it is just from catching a virus, or being bitten by a bug that gave you an infection. Your doctor might convince you that you have a disease, usually with a scary sounding Latin name. Whatever your condition, addressing what I am about to tell you will potentially be the determining factor of whether you are doomed to a medicated life or regaining the life you once enjoyed. What most people and unfortunately most doctors don’t know is that the many organs, glands, and muscle groups of the body are set up on dedicated circuits, much like the circuits of your house. If you go to the circuit breaker box in your house you will see that there are many different circuits dedicated to the various areas of your house. For example, the front two teeth on the upper and lower jaw sit on the same circuit as the kidneys, ears, pineal gland, and thepsoas muscles on both sides of the body. If there are problems anywhere on these circuits the body will not give 100% energy to the blown, dysfunctional circuit, so that you will not damage things further by being able to go full-tilt on a damaged circuit. 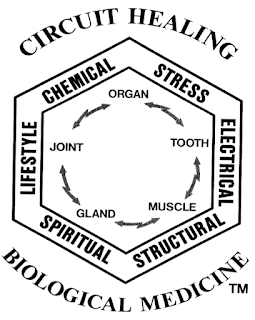 As the above “Circuit Healing” picture demonstrates, problems from structural, chemical, stress-related issues, or bioenergetic “software/bioregulation”issues anywhere in a circuit will cause the entire circuit to “blow” and everything on that circuit suffers the same fate. Muscles won’t work when the circuit blows! Exercise intolerance, chronic fatigue, and weakness is a common problem in people suffering from chronic illness. When every circuit in the body is blown there is a dramatic reduction in energy throughout the body.For all of the great intentions, exercise machines are most often used as a place to hang clothes. It is the proverbial “catch 22,” you know you need to exercise to get back to the health you desire, but your body is too weak and the post-workout pain and symptoms is too much to endure to continue working out. When these circuits are “blown,” the muscles on these circuits will only work at about 40% of maximum integrity. It isn’t a problem with not working out enough. With just 40% of the normal strength available, there is not enough strength in the muscles to stabilize the joints, leading to pain, nor is there enough mitochondria (energy factories in the muscle fibers) to produce enough ATP (what your body uses for energy) to enable you to do many repetitions of your workout. In your house, the are many different circuits. The circuits ensure that the distribution of energy is handled efficiently and none of the electrical appliances get overloaded and burn up. Your kitchen is on it’s own dedicated circuit. If any thing goes wrong on that circuit, lets say a mouse chews through the wiring and causes it to short-circuit, everything on that circuit will suffer the same fate. Nothing will work. You might only notice the “symptoms” of the blown circuit when your coffee pot doesn’t work. If you did not understand the concept of blown circuit breakers, you might go out and buy a new coffee pot. You might then notice the lights in the kitchen are not working, and try to replace the light bulbs. Your dishwasher won’t turn on, so you call the appliance repair service. You see, everything on the circuit suffers the same fate when the circuit blows. Without understanding that everything on a circuit will not work when the circuit blows leaves you “treating the symptoms” only, replacing the coffee pot, light bulbs… Obviously, all of these are symptoms of the blown circuit. The only way to correct them is to recognize that the entire circuit is blown, find the cause, the place that the mouse chewed, repair it, AND turn the circuit back on. When the body is working on only 40% of the optimum amount of energy it should have, a person can take all the best medications, remedies, nutrients, and treatments, but there is not enough energy for the body to utilize them correctly. Everything starts working better with the circuits back up at 100%. There are 8 different teeth that are on the same circuit with the mammary glands, where 80% of all breast cancers occur. This fact is of no interest to mainstream medicine. Interestingly, the breast cancer tumors have 60 times more mercury in them than the surrounding breast tissue, from the silver mercury amalgams in one or more of those eight teeth. Dr. Thomas Rau, M.D., the medical director of one of the top Biological Medicine cancer treatment centers in Switzerland, the Paracelsus Klinik, states that approximately 98% of all breast cancer has a dental cause, most often from a poisonous root canal tooth and cavitation (osteonecrosis) of the jawbone, from one or more of these eight teeth, that is leaching toxins and mercury into the mammary glands. When the tooth issue is resolved the cancerous process is stopped at its source. In this situation the rotten tooth is analogous to the wire that was chewed by the mouse. The tumor itself is the light bulb that no longer works. 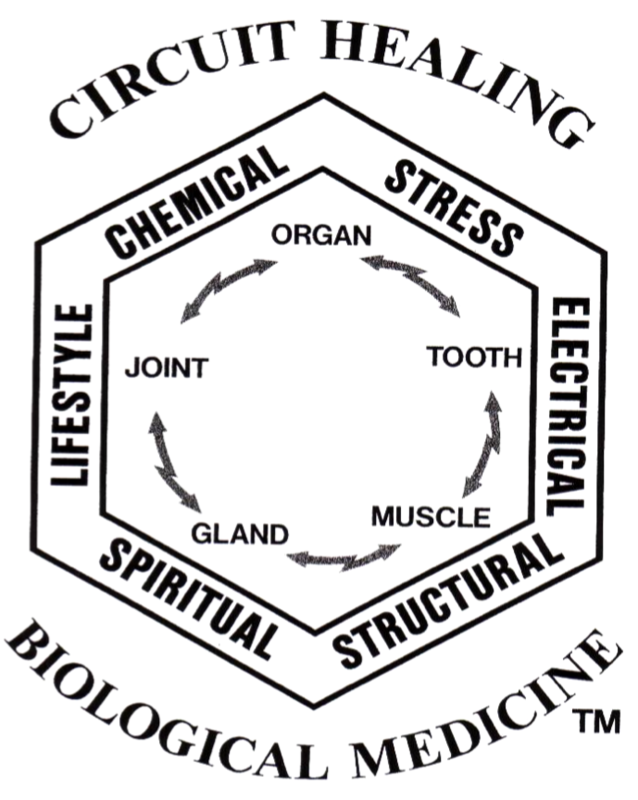 Can you see how understanding the circuits and interconnectedness of the body can be vital in restoring your health to resume living your normal lifespan. Interestingly, if the organ or other tissue is diseased or dysfunctional that sits on the same circuit with a certain tooth, the tooth will also become more susceptible to infections and decay. Of course there are other causes of breast cancer outside of tooth issues. The point is that getting lumpectomies, mastectomies, and taking toxic chemotherapy is just treating the most obvious manifestation of other things that have gone wrong in the circuits. In conventional cancer treatment, they are claiming success with cancer if you live just another five years! If you are only in your 30’s or even 60’s, living just five years beyond your diagnosis doesn’t sound that great! You can cut, burn, and poison the tumor, but the true cause, the rotten tooth, remains unrecognized and is never addressed, so the best a person can hope for is a false sense of hope provided by remission. Please read the article I am hyperlinking here on “cure versus remission,” if you are unclear why remission is not something to be desired. A truly successful treatment of any type of illness is that the person returns to living their normal lifespan. “Blown circuits” can happen when there are any type of bad structural, chemical, stress, or bioenergetic problem in the body. If the circuit is blown from an organ problem, then no matter where the symptoms are affecting you, the organ problem must be addressed before the symptoms will go away. If the problem is in the gland, then it must be addressed. If the circuit is blown from a bad tooth, then that must be corrected before lasting health can be achieved. In each of these situations, the organ, gland, or tooth, may be dysfunctional due to a myriad of reasons, all of which must be identified and corrected. 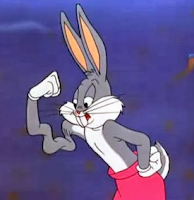 A person can exercise, and even make strength gains, but it will still be only about 40% of what should be available. Imagine how fast you would heal, having 60% more integrity in the muscles!” While eating and living with integrity are definitely steps in the right direction, only a doctor trained to identify and address the myriad of circuit problems can get your body truly reset. The key to understanding how important these connections are is that any problem anywhere in the circuit will cause everything on that circuit to “blow”, much like overloading the electrical circuit in your house. Everything on the circuit will suffer the same fate! So in the above example, if the tooth has a bad infection or is being affected by a large silver amalgam filling, or even a bad root canal, it will “blow” the energetic integrity of everything else on that circuit, and the psoas muscles will reflect the problem as a loss of strength. Athletes depend upon their muscles to ultimately perform and excel in their sport. Few people understand that it is not enough to simply exercise a lot. Not if you want to become a truly world-class athlete, or to simply get back to health and endurance after a prolonged illness. We have used this new understanding of body circuits to virtually instantly “cure” people who have been paralyzed and others who have not been able to walk for years. We have been able to turn good athletes into Nationally-ranked athletes who eventually qualified to compete to go to the Olympics! Once the circuits of the body have been “turned on” again, one can begin to reach their maximum potential in all aspects of life. Although I am aware that everyone would just want to be told to take this or that supplement, or herbal remedy at home, both of which can be beneficial, the only way to get all of the 23 circuits up an running all at the same time, that I am aware of, is through having a broad range of training in understanding the interconnections of the body, and using our innovative adjunctive testing called BioResonance Scanning (BRS) to facilitate the body’s restoration of all the problems that are blowing the many circuits of the body. It requires a lot of problem-identifying and problem-solving skills to achieve this goal. Healing is Most Often a Process, More Than an Event. Complete health restoration is a process, not a one time circuit treatment. Simply getting the circuits online again can often achieve phenomenal, virtually instantaneous improvements in muscle strength and endurance, but it can take months and years of work to get back to the level of physical strength and overall health that you desire. All the vitamins, supplements, and various treatments in the world should be seen as numbers in a combination lock for the bank vault door, behind which lies the wealth of your health. Unless you get the numbers in the correct order, you will never get the door to open. This is why most chronically ill people have a virtual pharmacy in their cupboards of supplements and remedies, often given to them by top natural doctors, using all manner of muscle testing and computerized testing devices, all to no avail. You can have the right numbers (remedies), but in the wrong order, and the bank fault of your health will not open. To complicate things, some problems cannot be fixed with just supplements. If the tooth on a circuit is rotten and there is a cavitation in the jawbone, the circuit can still be turned on, by bypassing the tooth, but in the end the tooth and cavitation will need to be removed and the dead bone cleaned out. In the same way, bacterial infections, such as in Lyme disease, are analogous to the mouse that chewed the wiring. The difference is that the bacteria couldn’t have caused so much damage and so many circuit problems if the circuits were all online and functioning correctly in the first place. The circuit problems are then the primary cause, and the bacteria just opportunistically made things worse. This is why killing the bacteria in an all out war, bombing them with antibiotics just makes a person more damaged in their circuits. Your immune system cannot work correctly without the circuits working at full integrity. The only way to really permanently beat these horrible infections is by correcting the circuits, and helping the body naturally eliminate and regulate the bacterial population. True healing cannot occur by simply masking the symptoms. Health restoration requires the doctor to use the correct healing tools for the job. The more systems that are damaged, the more circuits that are offline, and the longer you have been sick, the less likely it is that you will be able to heal at home on a generic protocol. The protocol may have many of the right numbers, but will not be everything you need, which is why we have so many different tools, technologies, and techniques to help your body heal, and also why no two people are ever treated in the exact same manner at the Hansa Center. This article is for educational purposes. Before implementing any supplements/remedies always consult with your healthcare professional. Due to the complexity of the human condition there remains the possibility of symptoms getting worse. Again, discuss the ideas presented here with your health care professional before beginning, and stop, or get support, if your condition worsens. This information is not intended to treat, cure, diagnose, or mitigate any disease or illness, and has not been evaluated by the FDA. The Hansa Center does not treat named diseases, but seeks to restore the body’s optimum structural and functional integrity so that the body can rapidly heal itself.